Rose Bay Cottage was conceived by the renowned colonial architect John Verge in 1834 as a single-storey cottage fronting the harbour. Many later alterations saw its eventual conversion into a complex of thirteen flats in 1917. Design 5 stripped back all intrusive additions and retained as much original fabric as possible, revealing the quality, integrity and scale of the earlier work, while giving the cottage a new life as a modern residence. Design 5 worked with a landscape architect to create a new garden based on traditional 19th century garden design, which has restored an appropriate setting and context for the buildings. 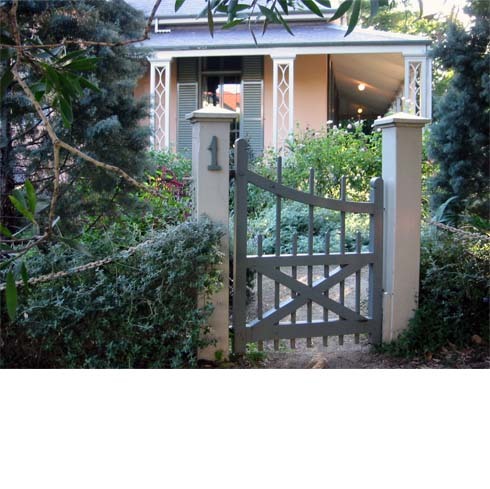 In 1997, Rose Bay Cottage won the RAIA Lachlan Macquarie (National) Award for Conservation, the RAIA Greenway (State) Award for Conservation and the prestigious Woollahra Council Conservation Award.